We were asked by Heluva Good! to come up with a recipe using 5 ingredients or less using one of their dips as part of their blogger contest. We also wanted to make something look fun for kids (of coarse!) 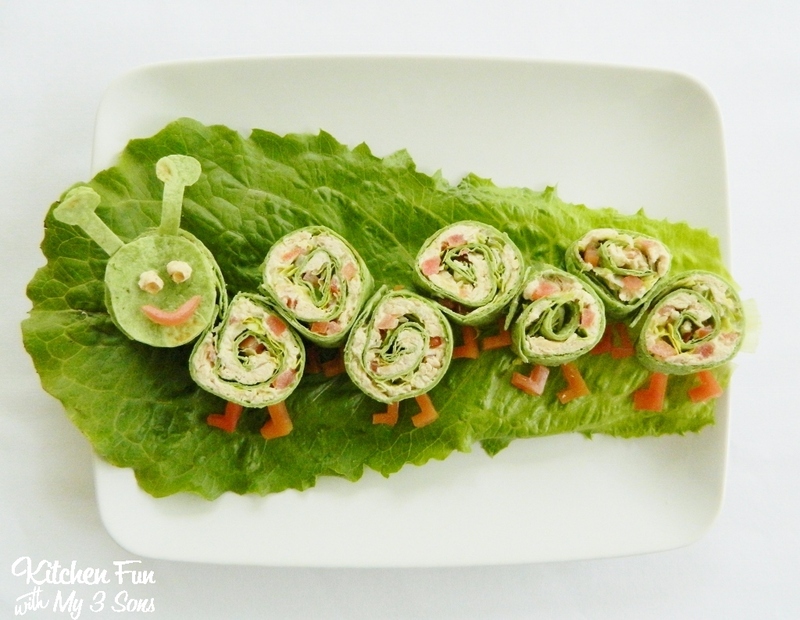 so we came up with this fun Caterpillar Snack Wrap! 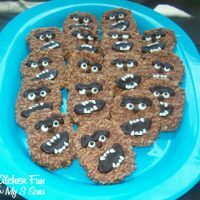 This was a huge hit with my boys and it’s so simple to make! 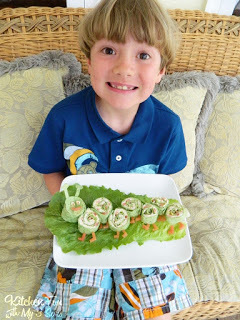 This is also a great way to get your kids to eat spinach tortillas! Heluva Good! 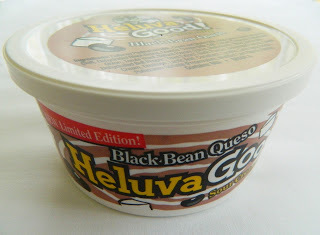 provided us with their dips and we loved them all, but decided to go with the Black Bean Queso Dip. This was our favorite! We now also eat this in place of regular sour cream for burritos, etc… This worked perfectly in our Caterpillar Snack Wrap and it tasted delicious!! The best thing about this fun lunch is that you can use any of the dips including Ranch, French Onion, White Cheddar & Bacon, Jalapeno Cheddar, Bacon Ranch, Buffalo Wing, Bacon Horseradish, & Bodacious Onion! Start out by mixing the chopped chicken, black bean queso dip, 1/4 cup chopped tomato, & about 1/2 of a cup of chopped lettuce. 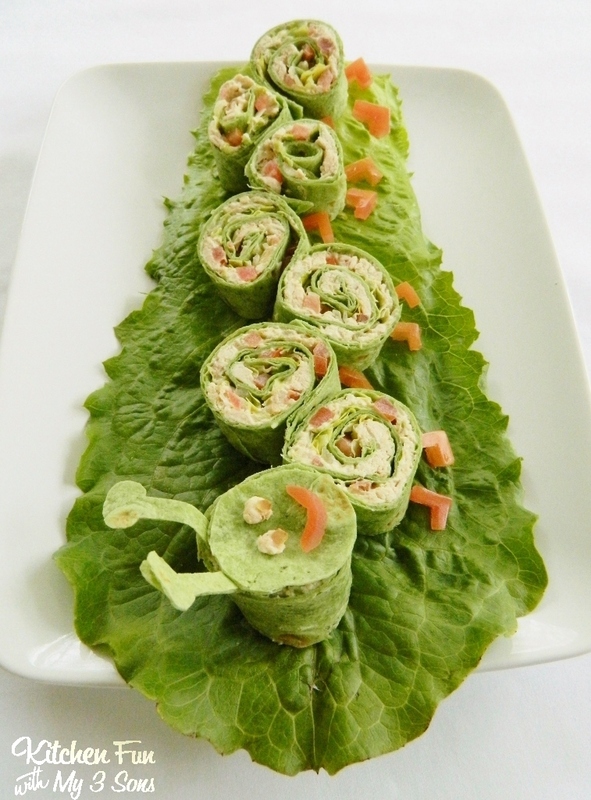 Spread the mixture on a spinach tortilla. Roll it up and cut off the ends using a knife. Then cut the roll into slices. Place a large lettuce leaf on a plate. Line up the slices on a plate. You should have about 8 pieces. Take the cut off end pieces and cut out a circle using kitchen scissors. Place it on one of the end slices. Cut the remaining tomato into strips. Then cut the strips into little legs. Place them on the bottom of the slices. We also made a mouth using a piece of tomato. We cut out antennas using the cut off end spinach tortilla scraps and press them in the top of the head. We made the eyes from small pieces of chicken. 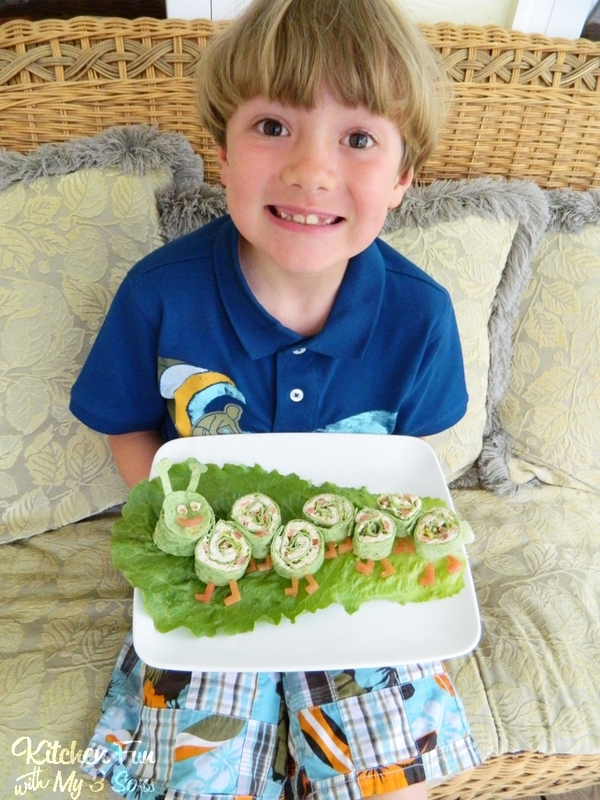 Here is my very happy 6 year old with this Caterpillar Snack Wrap! « Previous PostThe New Eggo Drizzlers Review! What a cute and yummy caterpillar! I never thought I would say that 😉 The way you placed the caterpillar on a lettuce leaf was so cute! Wow! You are so creative! My son is obsessed with The Very Hungry Caterpillar and would just love this. Thanks for sharing. Oh, my goodness! This little caterpillar is so cute! I've got to try this one. Thanks so much for sharing your creativity. Enjoy your day! Such a great idea 🙂 And healthy, too. We have a weekly link up at allthingswithpurpose.com on Thursdays. We'd love to have you join us! 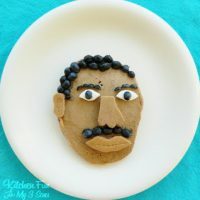 Yum, my kids would eat this up! What a fun way to present wraps. What a great idea. 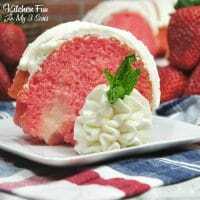 It looks fun and delicious! CUTE snack! You always come up with such amazing creations!